CODEL are world leaders in the design and manufacture of systems for continuous emissions gas monitoring (cems) and combustion control analysers, such as in-situ and extractive flue gas emissions analysers (analyzers), pollution sensors, dust monitor/particulate monitors, opacity/smoke monitors, flue gas analysers (analyzers), road tunnel atmosphere sensors and velocity monitors. 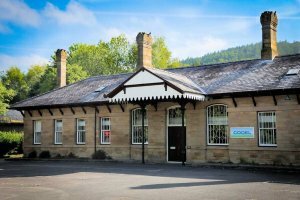 CODEL International Ltd is a UK-company based in Bakewell, in the heart of the picturesque Peak District National Park design and manufacture cutting edge instrumentation, primarily, for monitoring emissions to atmosphere, road tunnel environments and plant and rail safety. The company was initially formed in 1982 to design and manufacture gas monitors for process control use. Over the years the increase in environmental issues and new international legislation has guided our research and development department to continually improve and increase our product range. Today our state of the art analysers are supplied to a wide range of industries worldwide including power generation, combustion processes, road tunnels and process control. With over 51 distributors and support centers worldwide our engineers are committed to providing total service solutions. All CODEL products are designed in Bakewell. We have two assembly centres, our main one in Bakewell and one for the Indian market operated by our partners Forbes Marshall Pty . Both manufacturing locations are ISO9001/2000 accredited; our quality management system is continuously assessed for all elements of manufacture, supply, service and repair. 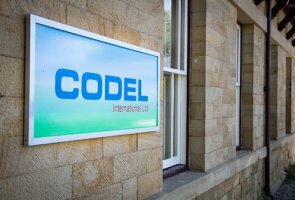 CODEL were first certified to the ISO9000 standard in October 1996 and were in fact the first manufacturer of emission monitoring equipment in England to achieve this certification. We at Codel are committed to pursue market leadership in our chosen field of emission monitoring. We strive to increase our presence in the international market by promoting a positive culture with open communication, team work and continuous training and development. We learn from our customers and treat customer feedback as an opportunity for improvement, which is a vital aspect of our growth and development plan. We recognise innovative product development as a driving force for the company. We are dedicated to providing excellent and reliable product quality and services to our customers by ensuring an effective and efficient response from Sales, manufacturing and after sales support. Codel is committed to maintaining and continually improving its Quality Management System in accordance with ISO9001:2008 through regular periodic reviews.